Brighton College Virtual High School offers accredited online programs with a focus on quality and affordability. From the time you first inquire until your graduation day, we are committed to providing you with the best educational experience and ensuring your ultimate success. Not only that, but BCVHS offers other pathways beyond the high school diploma, with tracks including combined high school diploma and career and technical education (CTE) and combined high school diploma and associate degreeprograms. Be a fanatic about response time. People expect us to respond to their questions and concerns quickly and rapid response is one of the easiest and best ways to stand out. "Great school and excellent staff! Highly recommended!" "I feel pretty great! I'm going to Full-Sail University to study computer animation and film." "It feels amazing to be a graduate!! I'm going to Abilene Christian University! #gowildcats"
"It's exciting to be a graduate of Virtual Schools of Excellence! I got into Texas A&M where I will be studying computer science. #brightfuture." Brighton College Virtual High School is an accredited online high school with a wide selection of accredited programs for you to choose from. Our accredited distance learning programs can be taken whenever and wherever is most convenient for you — that’s what sets us apart from everyone else. Check out our accreditations and affiliations for our distance education programs listed below. Brighton College Virtual High School is an accredited online school. Brighton College Virtual High School has been awarded accreditation by the North Central Association Commission on Accreditation and School Improvement (NCA CASI), the Northwest Accreditation Commission (NWAC), and the Southern Association of Colleges and Schools Council on Accreditation and School Improvement (SACS CASI), the regional accrediting agencies that span the AdvancedED global network of over 32,000 schools and systems in more than 70 countries. Brighton College Virtual High School is registered with The College Board (SAT, PSAT/NMSQT), whose mission is to connect students to college success and opportunity. 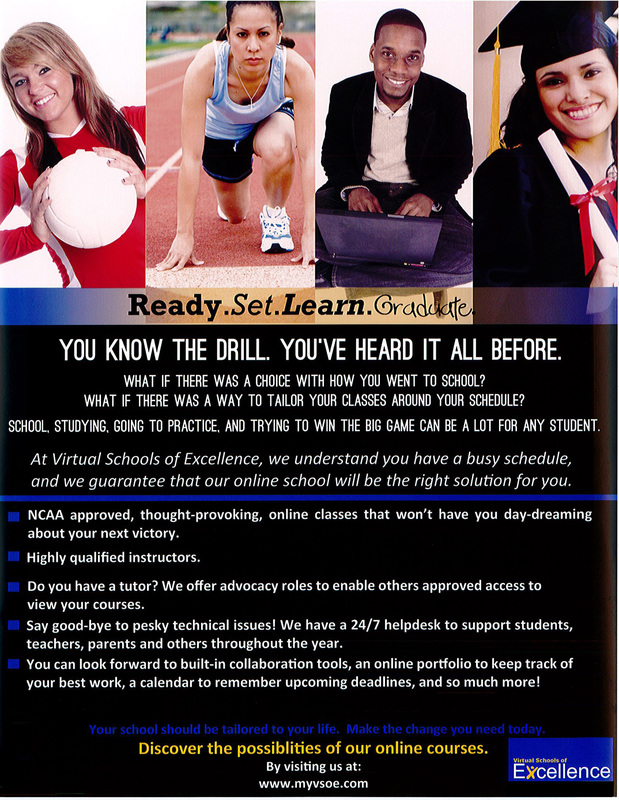 Brighton College Virtual High School is NCAA Approved Curriculum. School Code 102805. The NCAA does not endorse or affiliate with the services of Brighton College Virtual High School . The parent/guardian of a prospective student-athlete should ensure that programs are in compliance with NCAA bylaws. The NCAA website, http://www.ncaa.org/, is the only place to receive the most current and accurate information about NCAA rules and regulations.